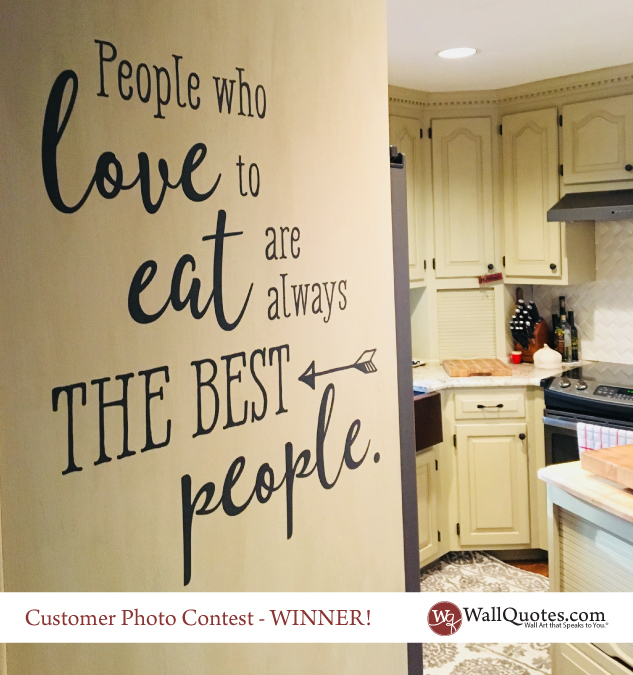 Lisa contacted us since she loved a Julia Child quote we have (see the original design here), but wanted to switch up the fonts and arrangement to better fit her style and space. We sent her some design options and after a couple of back and forth changes and tweaks, this is her final design. We love it so much, we will be adding this to our kitchen collection soon! **Update - We have added this decal to our shop. Get it here! Thank you so much! Your team was very helpful and fun to work with. I'm really happy with the final product and I've received many compliments on how nice it looks and how much it fits my personality! Hi Lisa! Thanks so much for the awesome project and design. We are publishing your design in the website store this week!